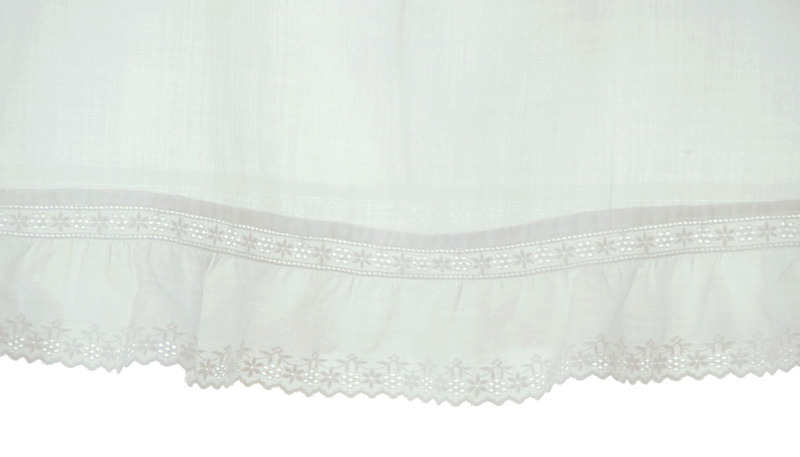 This lovely white cotton batiste dress was hand made in the early 1900s. It features a small embroidered yoke edged with lace and a simple round neckline finished with embroidered scallops. 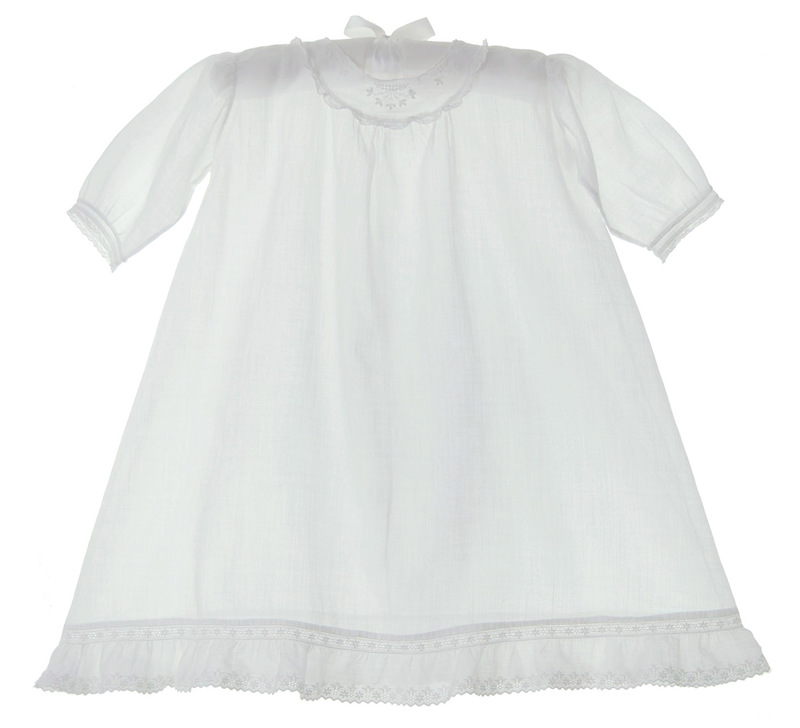 The long sleeves are edged with pintucks and soft white lace. Typical of turn of the century gowns, there is no back closure. 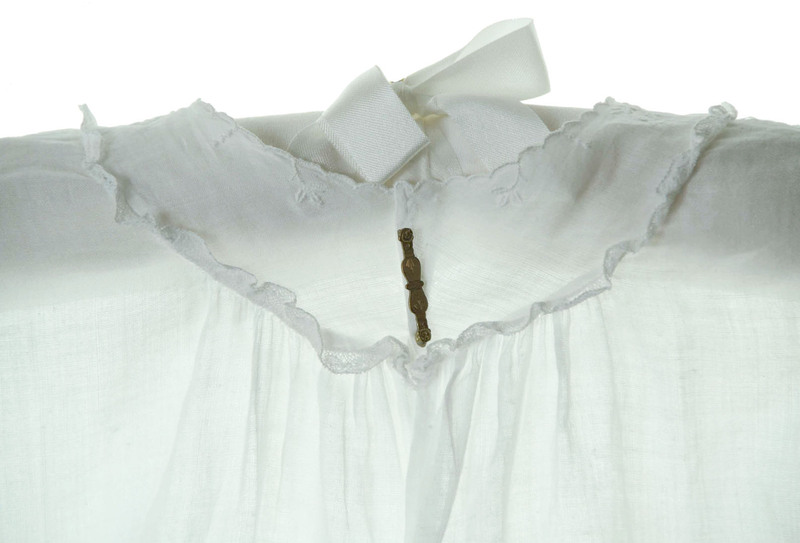 Baby gowns were generally closed with baby jewelry, such as the sweet little gold pin shown below (not included but vintage baby jewelry is available from Grammie's Attic). The gown is finished with a lovely lace trimmed ruffle. A sweet heirloom portrait gown, christening gown, or special occasion gown. Lovely for your baby girl but simple enough for your baby boy, too!